Excellent article. I could install successfully wordpress following this article. I’m trying to set up a local copy of an existing site. I have a full backup of the site, I have a copy of the database, but when I create a new database in WAMP and try to import the database copy I have, it tells me the database already exists. If anyone can help me figure out what I’m doing wrong I would be very grateful. ok, got it to work, but trying to install a theme and it gives me error message: The uploaded file exceeds the upload_max_filesize directive in php.ini. Please see how to increase maximum upload size limit in WordPress. I did everything step by step, when opening my local host, it gives me this error message “Error establishing a database connection”. What did I do incorrectly? Thanks! Excellent tutorial! I am a developer, and totally new to WordPress. 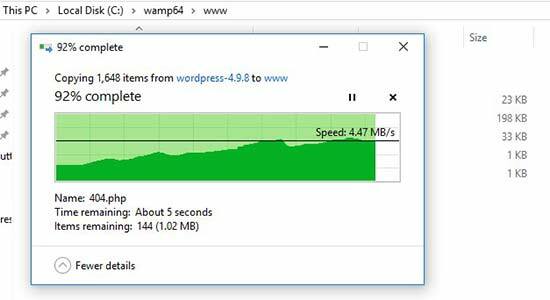 And with this tutorial, I was able to set up a complete WordPress test environment on my PC. Thank you! I can’t thank you enough for this help. It worked and walked me through the steps perfectly. Bravo! Cheers to your success in life. After installing WAMP, a short-cut icon appears on the desktop. It’s not green, and it doesn’t do anything. The real icon used to open WAMP is in the notification area on the task bar – usually at the far right and sometimes, depending on your setup, you must click the up ^ arrow to access it. The only solution I’ve found is to get a better internet connection. Because This Error is so common when an internet speed is slow. But I tried the 32 en 64 bit version… Can you help? 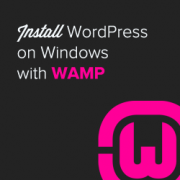 try installing wamp server version 2.5. Such a good explanation. Great Work. Thanks! Once you are done with developing your site on your computer, you can move it to a live website. Went through all of this and it worked fine. Had WAMP running and localhost site running. Was looking at themes. Closed everything down and restarted and now the MYSQL service won’t start. Apache starts and MariaDB starts but mysql won’t start. I’ve searched with google and tried a few solutions but can’t get the issue resolved. I’ve looked in MYSQL log and it’s blank. I’ve tried reinstalling the service and that doesn’t help. paste it in the ‘www’ folder inside the ‘wamp64’ folder. Great guide, worked like a charm! What else can I say…? This is so informative, and timely. Last week I was struggling to get WordPress installed on my local machine; now it’s done. Good job guys! I really appreciate WP beginner. However, am not tech savvy thus a bit slow on grasping what is probably fundamental for most people. Now, I got as far as installing Wampserver 64 but when I try http: localhost/my site I get Error 404. What is the problem? I have done all I possibly can but the error message keeps coming on. 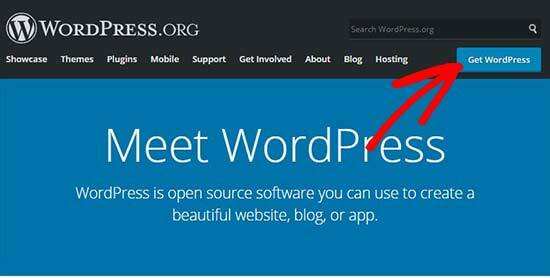 Thanks it is really help full and install the WordPress successfully from above steps. Thanks a bunch for this post, I had been struggling for a while to set up a local server so I could safely test and develop my site, but all the other guides I found never worked. Yours has finally got this sorted for me! Big love. Lastly, have mercy this web building stuff is super scary, I just want to write but I need to show case my portfolio. Thus, I have to do this. Great job. Please can we have pdf version of these guides for downloads. Thanks …. After I gave the database a name; it asks me to name a table. I’m not seeing anything like what is on this page after setting a database name. Hi guys, I use tutorials all the time, but never felt the need to comment. Great job! Simple, concise, no need to investigate further on other sites. After coping the wordpress folder to the wamp www folder, I renamed the folder to mysite. When I try to open the url in the browser I get the error message Object not found. I want to know if I can share my locally developed site to a friend before pushing it live without having hosting. thanks for steps. 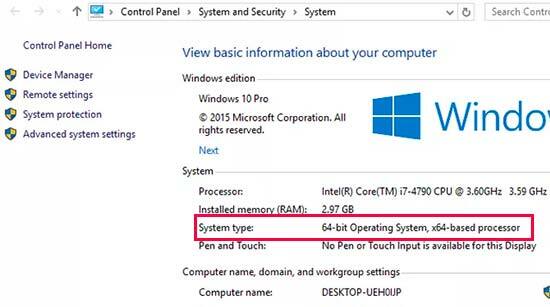 it is really helpful me for installation. Just wanted to thank you a zillion times for this excellent tutorial, so detailed, i followed it and it went so smoothly! I hit a roadblock. I loaded WP in the WAMP folder. 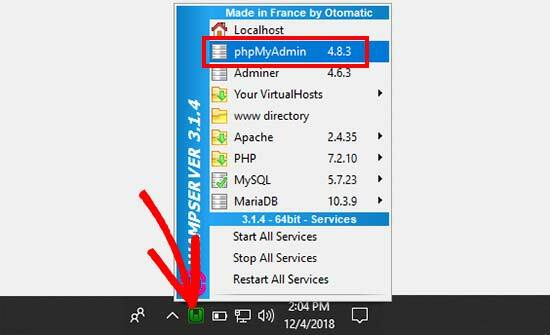 Then when it comes to “Now open your web browser and go to localhost/mysite/” Here I copy this address and put it in the address box at the top of the Wamp program (there are two of them side by side…I put it in the right one). Result: Can’t find page. I am stuck…can anyone tell me what I am doing wrong or not doing. Thank you in advance! 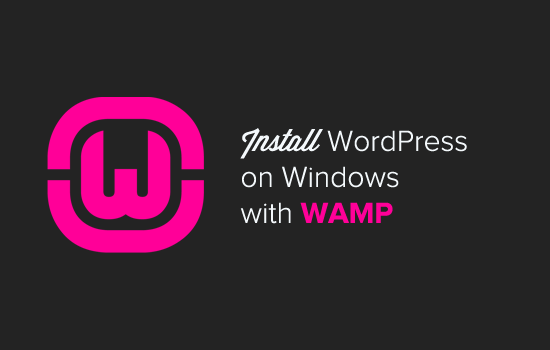 I have downloaded WAMP with the intention of installing WordPress as a local server setup on my Pc. I have a 64 bit CPU on windows 10 and after the installation of the WAMP software, when I click on the desktop icon to launch WAMP, the CMD.exe window briefly appears for a few seconds and then nothing. I have tried both 32bit and 64 bit versions ( installing and then uninstalling) with no success. In the download instructions, it says that for a 64 bit cpu, both 32 bit and 64 bit versions should be downloaded and I have installed both at the same time and i still can’t launch WAMP and I still get the sudden appearance of the CMD screen. Would very much appreciate your help. 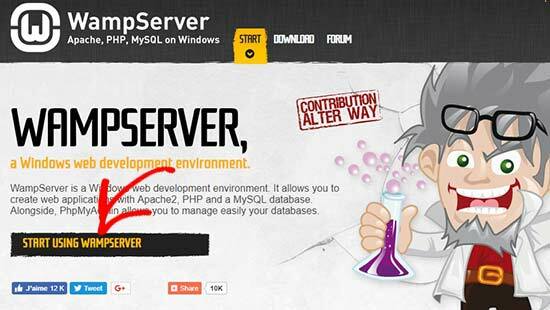 Localhost/mysite is giving a 404 error stating that apache/2.4.23(win 64) PHP/5.6.25 server at localhost port 80. Amazing tutorial! Was looking for something like this for ages. Istalled it locally without any troubles and in no time. I will keep browsing through website as I do my child-theme. What can I do to remove this error? This error show you because you are not make a database with name “database” in phpMyAdmin. 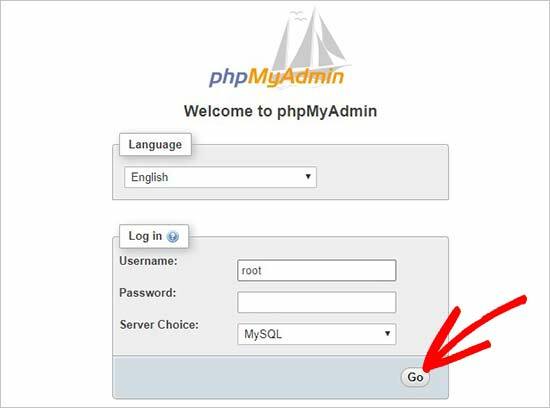 So first make a Database in phpMyAdmin of your wamp server. Then Install WordPress and Happy to go with WordPress. Thank you for sharing such a very useful tip. I am working with one website locally in my machine. Now I want to start a new project with a new data base name (I can work with several sites with one login but my question is not about that). 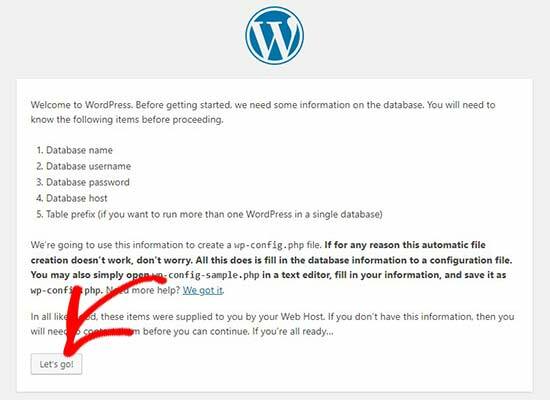 For this I create a new data base in my XAMMP server.After that I was unable to login in my WP dashboard again .When I login in WP it takes me to my previous site. It is necessary to config-php file again ??? Please, I tried installing WordPress locally copied the page to the www folder in wamp64 but when I try accessing it through the browser it gives an http 404 error and I haven’t even started the WordPress installation please I need your help on this. To have multiple websites on wamp. Do I need to install wordpress in www folder or there’s a specific way to achieve that. 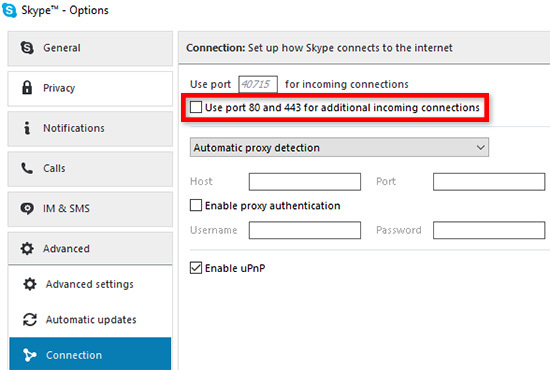 How can I install two/ multiple websites on my PC? Thank you for your great instructions. Problem sorted. I stupidly copied only one of the folders downloaded for WordPress. Sorry to have bothered you. Excellent tutorial, well done. localhost/mysite opens with ‘Index of /mysite’ and not WordPress. 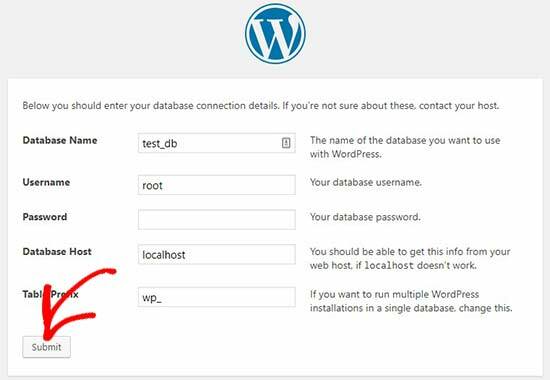 Using Wamp64, set up php and database as per your instructions, downloaded WordPress.org v. 4.7.5 from WordPress. Renamed wordpress folder to ‘mysite’. 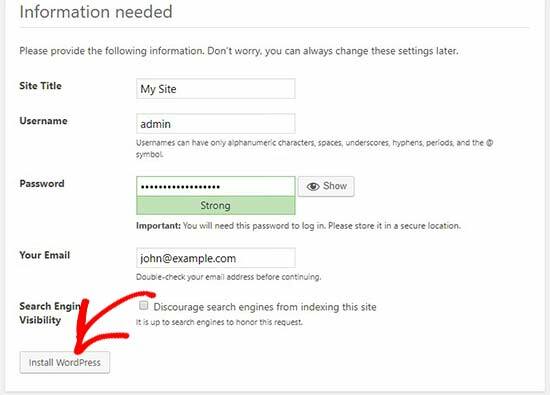 Please see our guide on How to reset WordPress admin password on localhost. I’ve installed Wampserver 3.0.6 on my brand new Microsoft Surface Book with Windows 10. During the installation process, it defaulted to Internet Explorer instead of Edge, and I am not sure what happened with that. I’ve tried launching the program and get a system error message saying it can’t launch because MSVCR110.dll is missing. 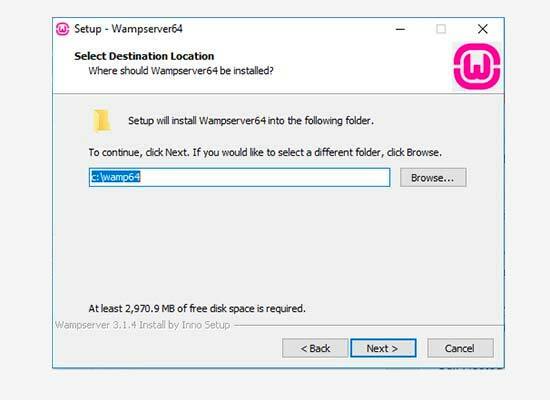 I hope that I don’t have to uninstall Wampserver and start over. Also, I am new to Windows 10 and can’t tell whether I am looking at the .exe file or the app because extensions don’t show. You need to uninstall and read the install notes, you have not installed all the .net Pre recs in the notes follow links. What about Mac users? How to instal WAMP on Apple machine? Please see our guide on how to install WordPress on Mac using MAMP. Check out our list of corporate or business themes. Many Thanx buddy. NOw I got few very good themes that I can work upon.